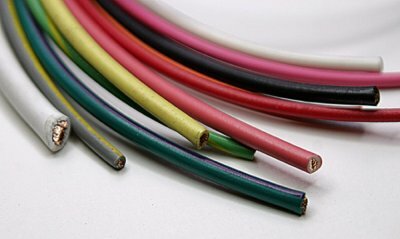 We manufacture both braided and lacquered wire and plastic wire in all color combinations and patterns. 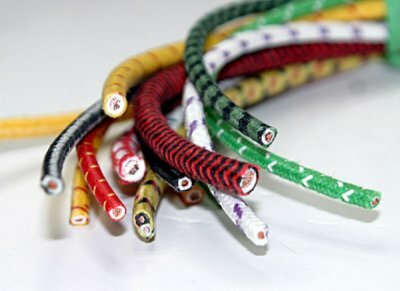 Unfortunately, we can not supply a list of all the different colors because of the wide selection available. 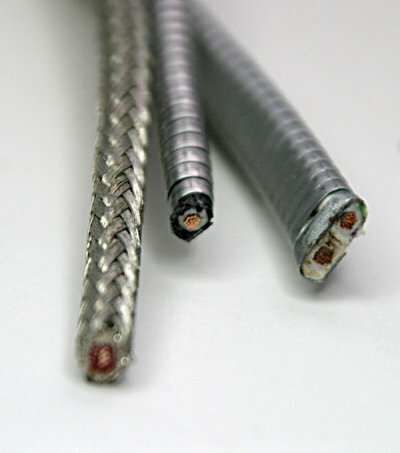 When ordering wire, please let us know the base color, tracer color orcolors and the type of trace you would like. There are many types of patterns such as cross tracer, straight tracer, fifty-fifty, Lucas pattern, etc. All types are available. and up to date, all prices are subject to change.